SEASON 1: Venom is created by Dr. Octopus. Venom (S1E4) - Doctor Octopus' newest creation Venom shows up at one of Harry Osborn's parties and attacks Spider-Man. It is hinted that Harry Osborn will be the Venom host in future episodes. Back in Black (S1E8) - Harry Osborn bonds with the Venom symbiote. Venomous (S1E11) - Venom (Harry) attacks Norman Osborn. 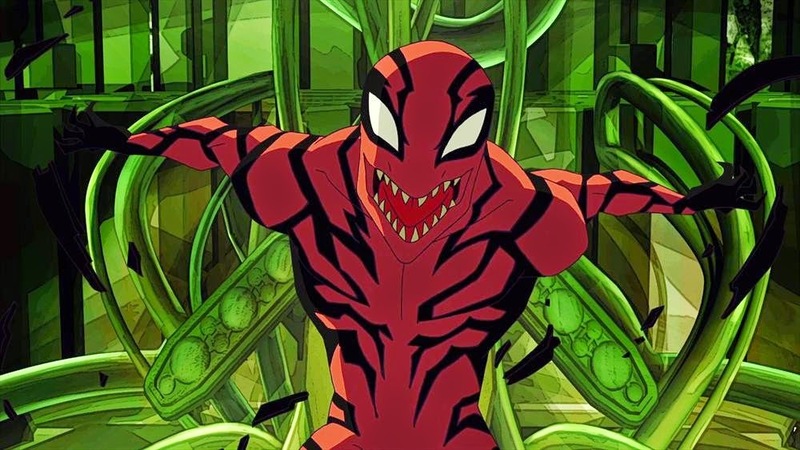 Carnage (S2E8) - Doctor Octopus creates a new version of Venom, which he calls Carnage, and forces it to bond with Peter Parker. 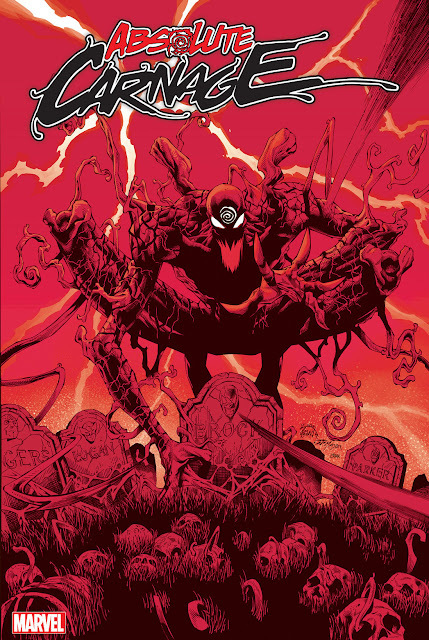 Harry takes control of the symbiote and becomes Venom again. Venom Bomb (S2E17) - The Green Goblin lets loose symbiotes on the Helicarrier and creates an army of Venoms. Season 3 introduces the Web-Warriors subtitle. 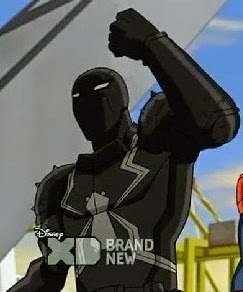 SEASON 3: Agent Venom is created when the symbiote bonds with Flash Thompson's DNA. The Avenging Spider-Man (S3E1&2) - Loki and Doctor Octopus bonds Venom symbiotes to Asgardian monsters. Agent Venom (S3E3) - While Spider-Man is trying to rid the city of the remaining Venom symbiote, one attaches itself to Flash Thompson, and bonds itself to his DNA. He uses tech from The Beetle to construct his costume and weapons to become Agent Venom. The Next Iron Spider (S3E5) - Agent Venom has a quick cameo at the end of the episode.